A review of Mike Flanagan's new horror series based on the Shirley Jackson novel, The Haunting of Hill House. 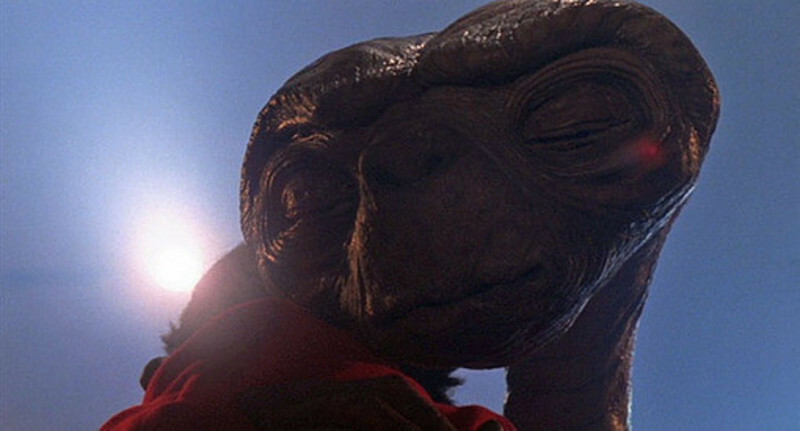 Making contact: Spielberg's Close Encounters and E.T. "E.T." is a universal film -- and I'm not just talking about the MCA company that released it. Steven Spielberg's latest celluloid fable is fast on its way to becoming the most popular movie ever made. Yet, unfortunately, critical attention has been focused primarily on the phenomenon of "E.T." rather than on the cinematic merits of the movie itself. So much has been said about "E.T." as an extraordinary entertainment, a masterfully orchestrated work of childlike wish-fulfillment, that people seem to have overlooked the fact that it's also -- dare I say it? -- a rich and resonant Work of Art. Perhaps Spielberg is too unassuming, too unabashedly populist in his style and (overt) subject matter to make critics sit up and take notice of what he's doing from shot to shot. Nevertheless, "E.T." is connecting with millions of people worldwide -- and for good reason. Like "Close Encounters of the Third Kind," Spielberg's other masterpiece about intergalactic harmony and understanding (and perhaps the largest-scale abstract/experimental film released by a major Hollywood studio since Stanley Kubrick's "2001: A Space Odyssey. "), "E.T." is above all about contact, about the very nature of communication, and the system of signs we human beings have created to bring ourselves closer to one another: spoken language, gestures, symbolic objects, physical contact -- and any combination of the above. The ad slogan for "Close Encounters" (hereafter referred to as "CE3K") was "We Are Not Alone," and both that film and "E.T." are about alienated individuals who try to break out of their isolation, who struggle to bridge the void between themselves and others. Perhaps the best way to get to the heart of these movies is to take a look at some of the ways Spielberg's characters communicate with (or fail to reach) each other -- and how Spielberg uses cinematic technique to bring film, characters, and audiences, into contact.